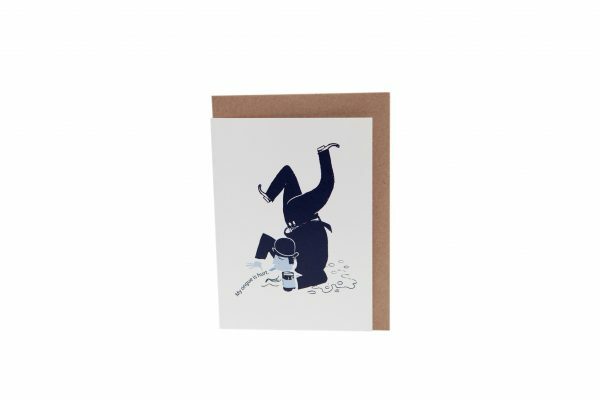 This fun James Joyce Dubliners greeting card by At it Again! features a quote from James Joyce’s short stories. 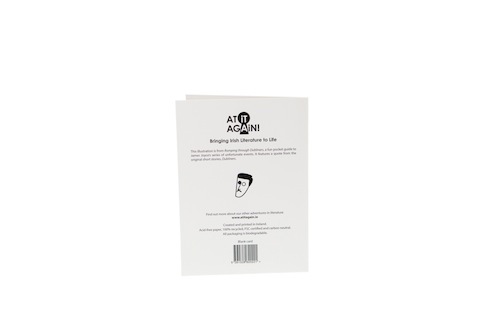 It is an ‘ongue’-in-cheek literary card for Father’s Day, birthdays, get-well-soon and Bloomsday. Made in Ireland. 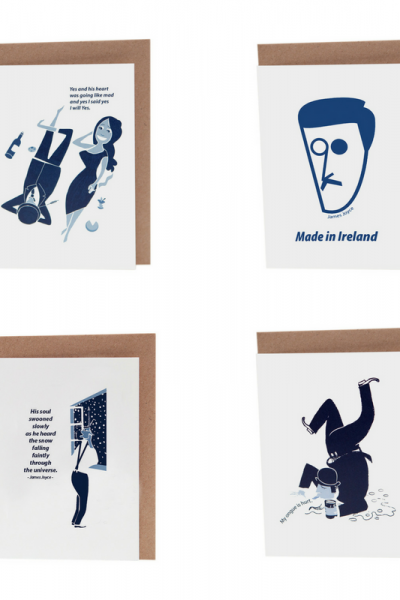 This fun James Joyce Dubliners greeting card by At it Again! 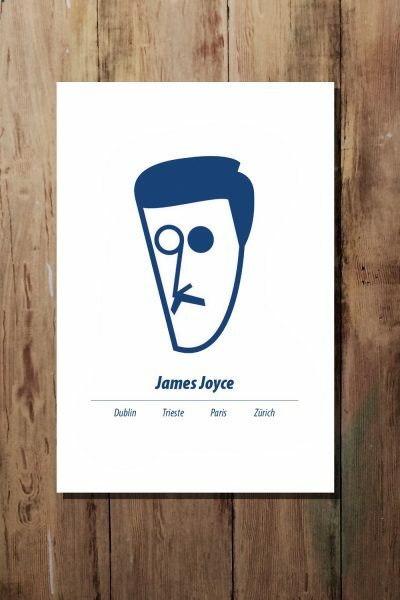 is inspired by James Joyce’s collection of short stories. The illustration is from our Romping through Dubliners pocket guide and features a poetic quote from the original short story, Grace, where Tom Kernan has fallen down the stairs and is staring at the pub toilet. 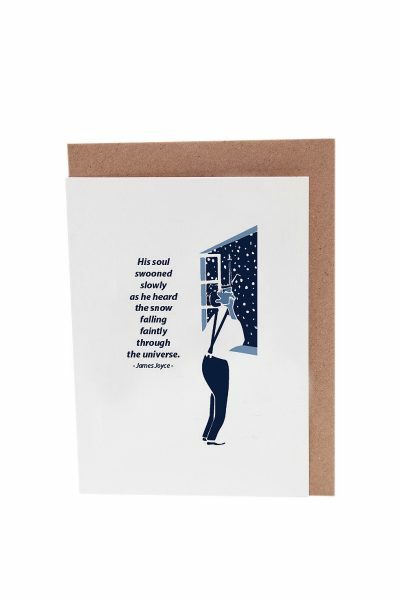 An ‘ongue’-in-cheek literary card for Bloomsday, St. Patrick’s Day, Father’s Day and birthdays. Made in Ireland. 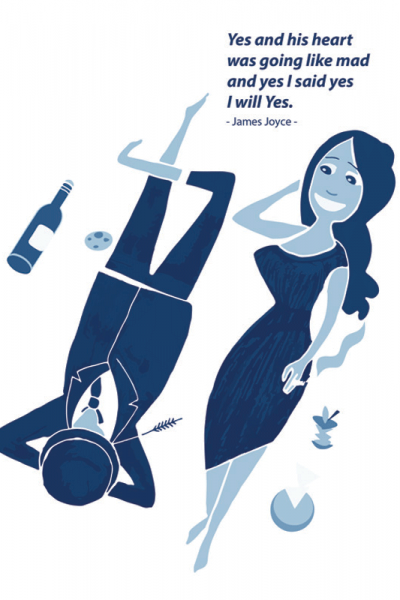 My ongue is hurt – Dubliners, James Joyce. Also available as A4 print and A6 notebook. 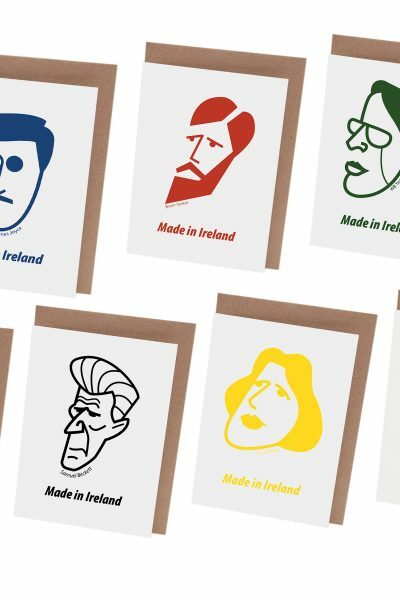 You can find more Dubliners literary gifts here. A6 blank card with eco-kraft envelope.